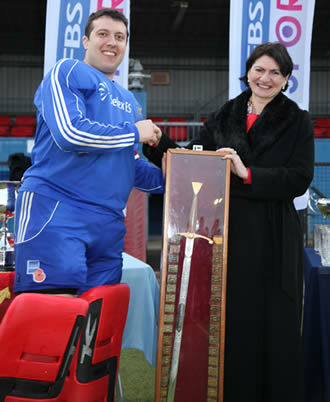 The two previous seasons saw the Army narrowly miss out at both the indoor and outdoor Inter-Service tournaments. Despite these losses the squad continued to grow in strength through both consistent availability of a large pool of players and high quality coaching sessions that enabled the team to apply the desired tactics in matches. A squad of 36 players was identified at the start of the season to form the basis of the Inter-Service squad. This was then cut down to 25 due to players being unavailable on operations. Despite the loss of certain key players we still had a side that we believed could challenge at the Inter-Services. The Army improved their preparation for this tournament on previous years by holding two evening training sessions prior to the event. The first game against the RAF saw the team play some fast paced Indoor hockey , that took full advantage of the new format and the final score saw the RAF downed 10-5. The match against the Royal Navy proved to be a much more frantic affair with the two sides trading goal for goal until late in the second half when the Army opened up a two goal advantage to lead 6-4. The navy pulled their goalkeeper for the final two minutes and scored one more goal before the final whistle to see the Army as 6-5 victors. The two wins handed the Army the indoor title for the first time since 2008, no mean feat considering the dominance of the Royal Navy side over the past few years. The Army played fixtures against the British Police and Civil Service as part of their week long training camp prior to the Inter-Services. The first game against the British Police saw the Army 3-0 down at half time, but a very strong second half performance saw the team battle back to bring the scores level. Some tight defending in the final minutes kept the Police out and the match finished as a 3-3 draw. This was a very good result considering the strength of the opposition and only the first result against the Police in 10 years. The second match didn’t start according to plan with the army going 1-0 down in the first minute of the game however the side soon rallied and put in a very strong performance finally winning the game 3-1. The Army have struggled against the Civil Service in the past, but this is now the second consecutive win against them. As always the matches and training camp provided ideal preparation leading up to the Inter-Services. The Army had drawn the short straw this year and had to play both games on one day. After the Navy and RAF drew 3-3 it was difficult to say which team had the best chance of winning the title. The Army’s first game saw them take on a very well drilled RAF side. The first half was very even with the Army having the better chances, but being unlucky not to convert. Some poor RAF tackling early in the second half saw them reduced to 10 players and the Army duly converted the resulting penalty corner to take the lead. This was soon followed up with a second and the Army took control of the game. The RAF won a penalty stroke in the final minutes, but this was saved and the Army recorded a rare Inter-Service clean sheet to set themselves up for the final against the Navy. The Royal Navy proved to be a far different opposition to the RAF and played a very different style of hockey. The Army struggled slightly against this in the first half and found themselves 1-0 down at half time. The second half saw the Army play some of their best hockey for many years and LCpl Shane Vincent Hat-trick got the team back into the game. The Navy scored a further two goals from penalty corners and the scores were locked until fifteen minutes from the end when the Army took a 4-3 lead. Unlike previous seasons the side closed the game out well to take the second win of the day. This was the first Inter-Service outdoor title since 2009 having lost out on goal difference three times in the previous four seasons. Despite the final results this was actually a very successful tournament for the Army side. The only poor performance came against the CI and the team felt it was a game they should have definitely won. The other counties were made up of very good hockey players that regularly play at a high level of club hockey and the results are testament to the way the team battled over the weekend and continued to improve as a unit. The Army squad also included a few players from the U23 side who benefitted massively from the experience. This has been the most successful season for the Army hockey team since 2004, the last time the team achieved the double Inter-Services Victory. Over the course of the season some 27 players represented the side and at no time did any player look out of place or the squad look to be suffering due to a lack of availability. The Army senior team is in a very healthy position and it is vital that the success of the current season forms the base from which to launch next season. 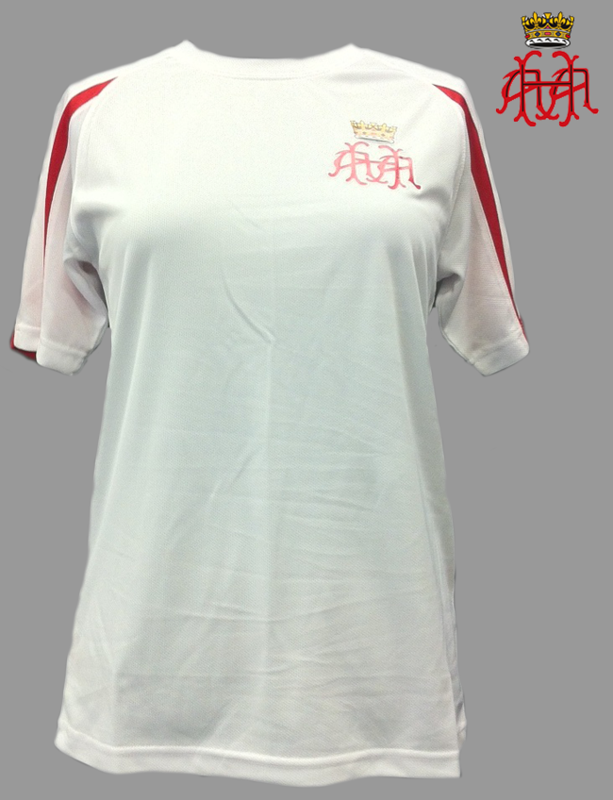 White AHA Shirts £15 each, please contact Charlotte in the AHA Office on 01252 787092 or cmills@ascb.uk.com.